Tradition and ethnic are the “new cool” as people are rediscovering their roots. The culinary world has imbibed this well. Flavours have come full circle with restaurants giving traditional touches to their menus. Tradition and ethnic are the “new cool” as people are rediscovering their roots. The culinary world has imbibed this well. Flavours have come full circle with restaurants giving traditional touches to their menus. Kitchens are caching up traditional ingredients, tastes and regional cuisines. 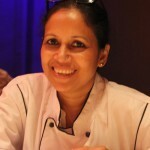 Chefs all over are collaborating with Home Chefs to serve new dining experiences to their clients. 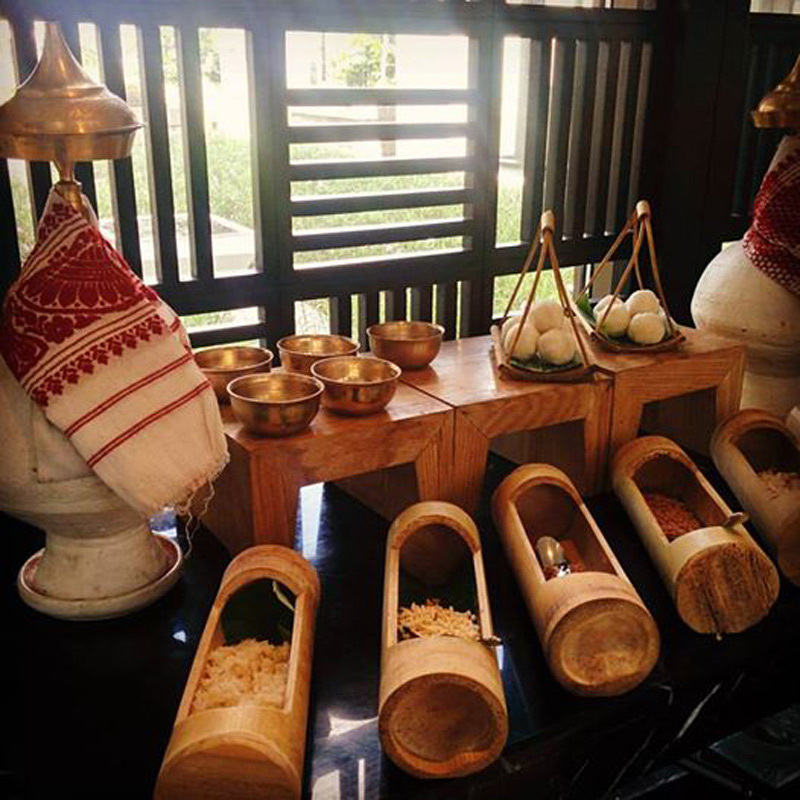 Guwahati, the gateway of Northeast has raised the bar with Chef Anirban Dasgupta, Vivanta by Taj, creating a breakfast menu of an elaborate Oxomiya breakfast, beautifully marrying tradition and modern setting. While this brings nostalgia and memories for some, the guests seem to be thoroughly enjoying this new spread. 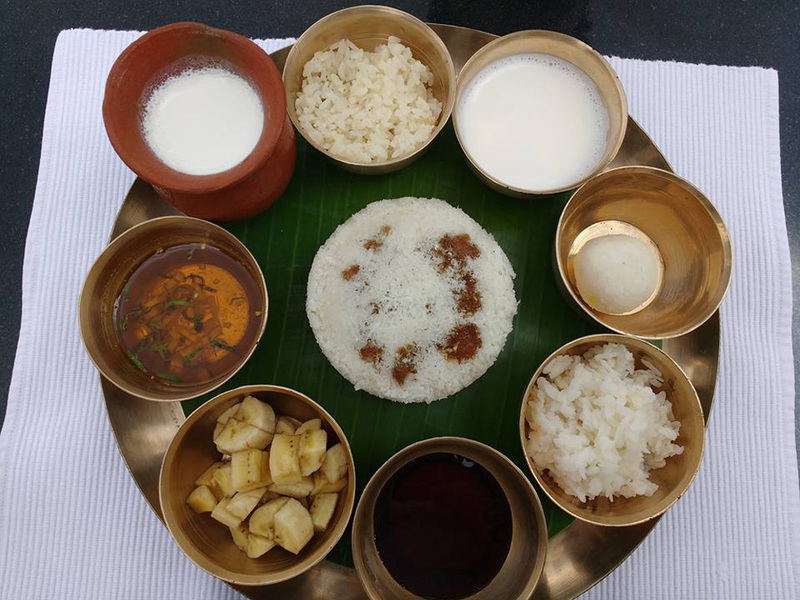 There cannot be a better way to connect with Assam than getting a taste of its tradition in a bowl of Bora Saul (sticky rice) with Gur (jiggery) and Doi (curd). 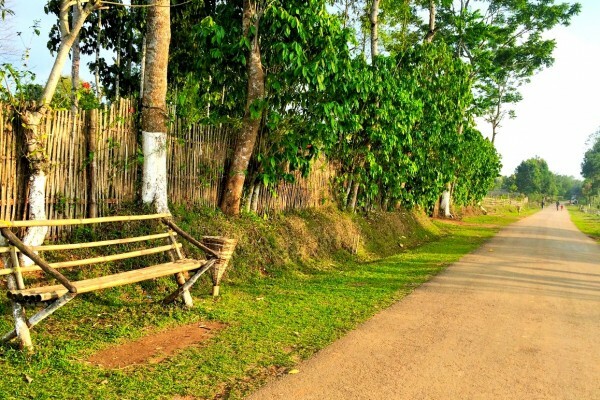 The Oxomiya (Assamese) Cuisine, by default, practices all the nuances of a healthy meal. Low in fat, emphasis on fresh produce and rice as base for most dishes, makes it a nutritious spread. At Restaurant 7, Kumol Chawal sits cheek by jowl with waffles and maple syrup. If there is a live pancake station, there is also a live Tekeli Pitha station. 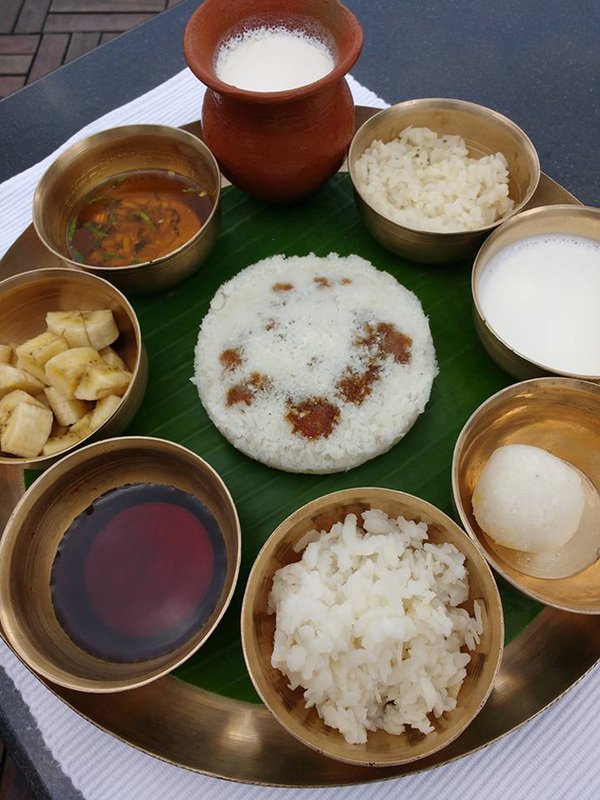 Curd is served from freshly set earthen pots. 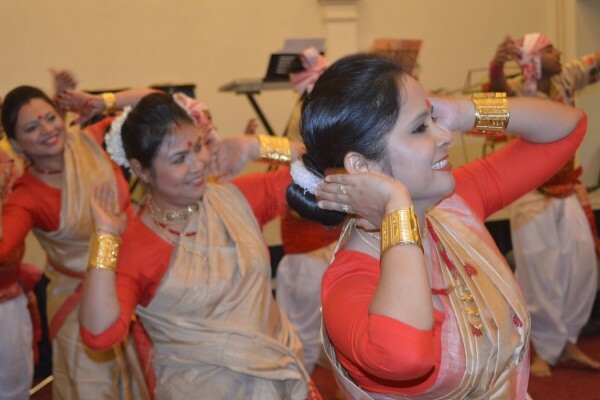 When the golden bell metal plate with banana leaf and the jolpan sitting pretty arrives at the table, it is not just joy, but also a deep-dive into Assam’s culture and history. Tekeli Pitha is a steamed rice cake, airy and light, steaming hot filigreed with shredded coconut and jaggery. It is served with a bowl of golden mustard oil, seasoned with silvers of fresh ginger, green chillies and maan dhaniya. 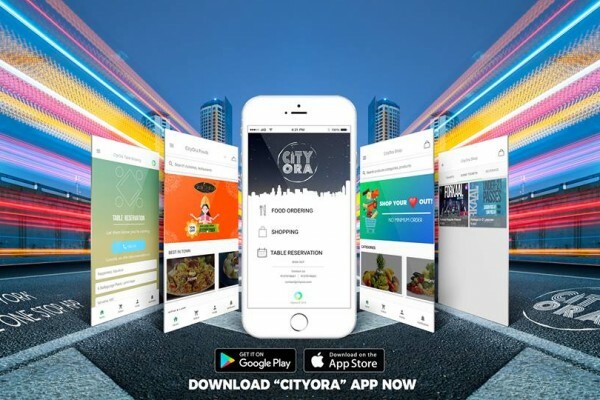 Drizzle some on top of the tekeli pitha and bite in. This will be your tryst with manna from heaven. There is Bora Saul with Doi and Julia Gur (liquid jiggery), almost treacle like. Everything appears just right—calming food and the sun-steeped patch of green in the outdoors add to the blissful experience. This Oxomiya breakfast can nourish your body and soul. Vivanta by Taj got it right yet again. I could see that the Assamese breakfast spread was a hit with the guests. 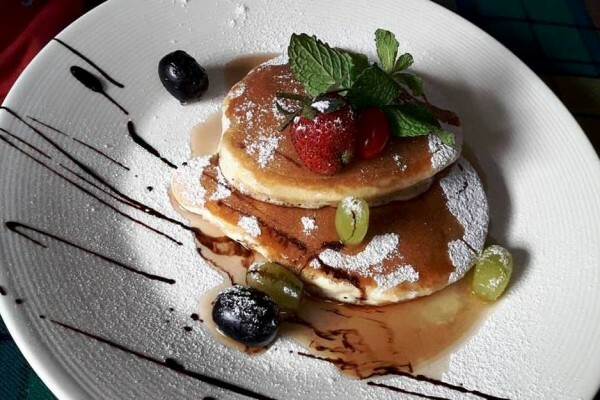 It is perhaps the only restaurant in the city serving authentic Oxomiya Jolpan breakfast. Its regular buffet breakfast has soft, fluffy and buttery croissants, and a mini dessert spread (with to-die-for chocolate muffins) to start your day on a sweet note. They also have another healthy breakfast option, fit for Emperors! 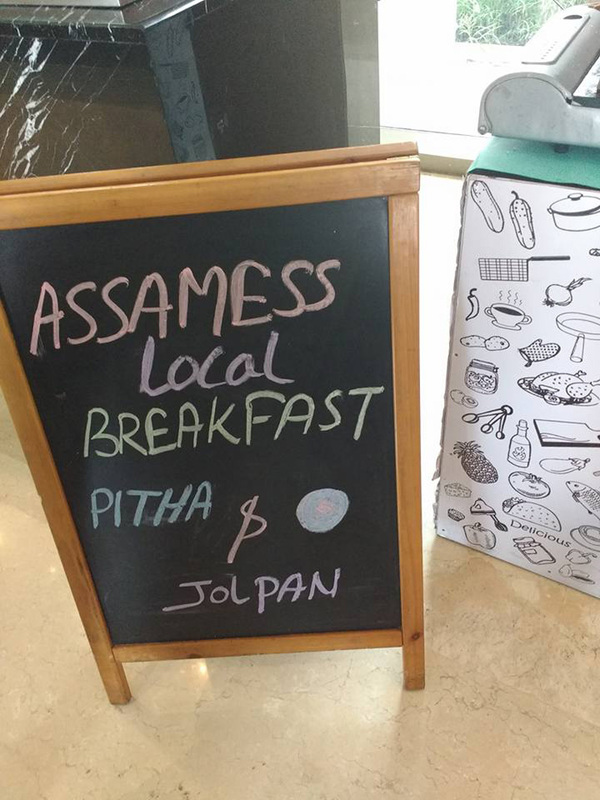 But what I would recommend guests to try is the unique Assamese breakfast fare, especially the Tekeli pithas. The talented Chef plans to give it his modern twist soon and we can’t wait for it. Forever exploring new ways of bringing dining experience to his guests, he pushes the boundaries in the culinary world. Dining at Taj gives a sense of interacting with your roots in an opulent setting, where one is never too far from tradition.